You asked and we listened! A few weeks ago, we implemented a much-requested feature allowing search results to be filtered by graded, reviewed, and aftermarket autographs! If your collection contains only items graded by a particular grading service, or if you prefer that the vintage items that you add to your collection are of at least Good to VG-EX quality or better, or even if you only want to see ungraded raw items, this new feature will greatly improve your experience shopping on the COMC Marketplace. Using the Ungraded Filter – Searching for Raw and Reviewed Cards. The ungraded search filter will remove all graded items from your search results. Once this filter has been chosen, a second set of options is presented: COMC Reviewed, Dean’s Cards Reviewed (DCR), Manufacturer, COMC Comics, and Beckett Raw Card Reviews (BRCR). The graded filter is a powerful tool that will allow collectors to search for items that have been graded to their exact preference. With this search filter, not only will collectors be able to search by specific grading company such as BGS or PSA, they will also be able to further filter that search by specific grades. In 2017, we made some changes to our supported grading companies that can be seen on our supported trading cards page. The graded search filter contains options to filter by grading companies that are no longer allow to be listed on the COMC Marketplace. Any items found within these search results are legacy items that date from when we these items were allowed to be listed on the COMC Marketplace. To complement our autographs filter that can be found under the attributes section of search result filters, we’ve added the option to search by Aftermarket autograph as well. This new set of filters will allow search results to be filtered to only include Manufacturer Buybacks and supported third-party-authenticated autographs. COMC only allows aftermarket autographs to be sold through our website if they’ve been reissued by a manufacturer or authenticated by a supported third-party authentication service. Cards submitted with aftermarket autographs that do not meet these qualities will be declined to be listed. To see a full list of approved third-party authentication companies, please visit our supported trading cards page. Today we have a very special treat for you! In honor of yesterday’s release of 2017 Upper Deck Goodwin Champions on the Upper Deck ePack website, we opened a box of the product and recorded our break to share with you! Goodwin Champions is known for unique insert sets such as this year’s World Traveler Map Relics as well as for Goudey Sports Royalty Autographs which this year feature legends such as Wayne Gretzky and Michael Jordan. After the break, we wanted to take this opportunity to provide a brief overview on how to transfer your physical items from ePack to COMC. Transferring your items from the ePack platform to your COMC account is easy and can be done in a matter of minutes! If you would like to skip directly to the tutorial, please go to the 11:30 mark of the video. Please enjoy our video below and as always, we would love to hear your thoughts, suggestion and feedback as to what future breaks and video content that you would like to see on the COMC Blog! 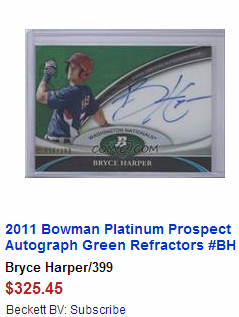 Be sure to check out the Blog_Breakhits account and purchase any items included in this break! During the days of the original CheckOutMyCards.com website, Tim introduced the Bulk Price Editor – a tool that made pricing cards quick and easy for those who had submitted large quantities of items for consignment. 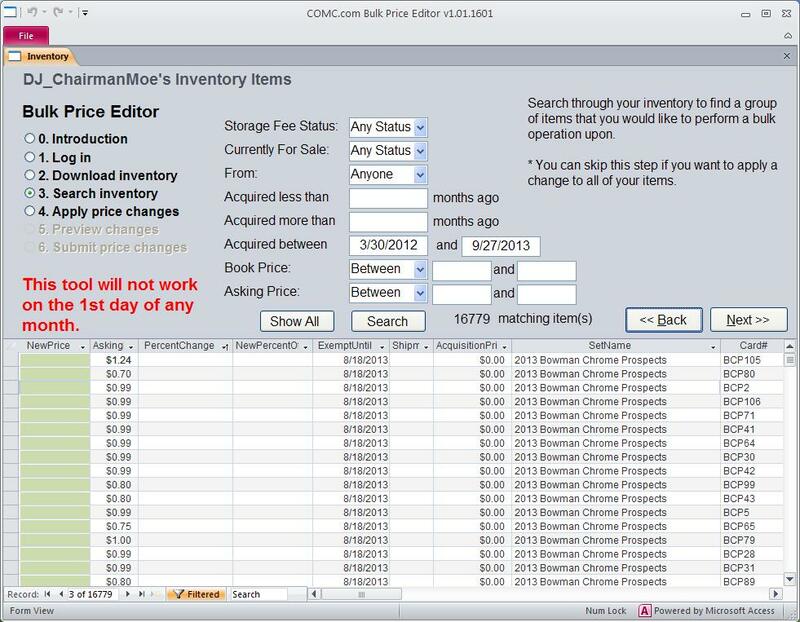 When we moved to COMC.com, we had to discontinue the availability of the Bulk Price Editor, as the technology of the new website was incompatible with the way the Bulk Price Editor was created. 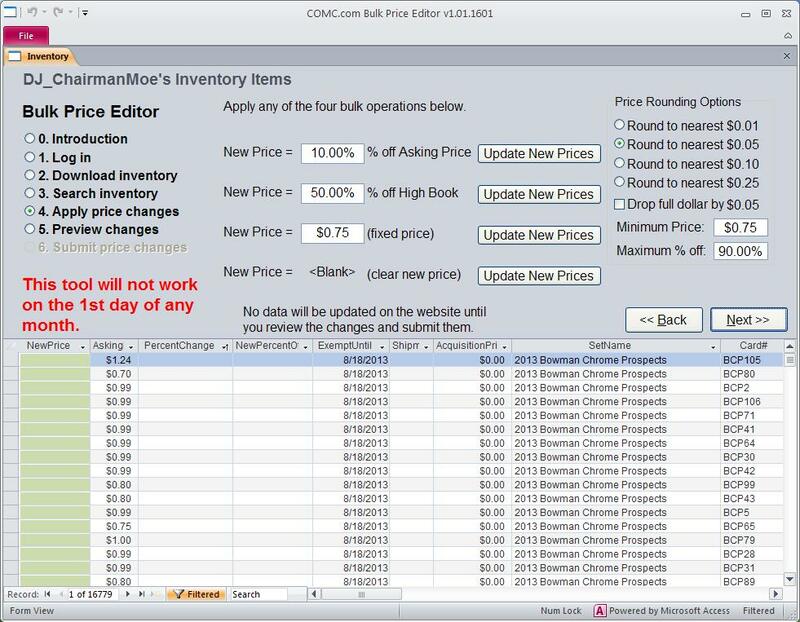 We knew it was a popular tool, so it was always our intention to create a new Bulk Price Editor, one that was compatible with COMC.com. After a lot of work and effort on Tim’s part, we’re able to announce that the *new* Bulk Price Editor is available as a Beta download. Please note that using the Bulk Price Editor takes up bandwidth on the COMC servers, so we ask that sellers limit their usage to adjusting their prices on a monthly basis. We want to keep the Bulk Price Editor as a free service, so we ask everyone to be kind and not overuse it. – Download and install the Bulk Price Editor (login required). – From the start menu or the desktop, click on the Bulk Price Editor shortcut. – This will bring up the Sign In page on COMC.com. – After you sign in, the Bulk Price Editor will start downloading the items from your inventory. – When this is done, you can search through your inventory for groups of cards that you would like to perform bulk operations upon. – Once you have selected the group of items you would like to perform a bulk price change to, you can select the type of bulk operation to perform. – When this is complete, you can review the pending price changes. – You can click in the green cells to manually edit any of the pending price changes. – Finally, you can submit your price changes to COMC.com. Thanks for your patience as we worked to bring back the Bulk Price Editor. Again, we request that users limit their price changes to about once per month – this will not overtax the servers and will allow us to continue to offer the feature for free. Please use the comments section below to let us know how it works for you, if you have any difficulties in the process of loading or running the Bulk Price Editor, and feel free to share any ideas or thoughts you may have. With the official launch of The Vault service approaching, we’ve introduced some new tools to help you manage your Vault Eligible items. There are now three new filters in your Inventory Manager to help you list your items on The Vault. From your Inventory Manager, select the Show Items dropdown. You will see three new options: Vault Eligible, Vault Needing Attention, and Vault Candidates. Vault Candidates: shows you a list of items in your inventory that qualify for the Vault. These items will have at least a $20 Beckett Book Value (or no BV due to scarcity) and a minimum $40 COMC asking price. With each Vault Candidate item, you’ll see an “Actions” button underneath your asking price where you can select the “Make Vault Eligible” option. From there, choose the “COMC Services” option, then “Rescan for The Vault.” At that point, your item will be assigned to receive a high-resolution 36x scan. Vault Eligible: displays items in your portfolio that qualify as Vault Candidates and have already been scanned at the 36x level. Vault Needing Attention: shows items that are Vault Eligible but await a Vault-appropriate asking price. To enter your asking price, click “List on The Vault” and a popup screen with listing options will appear. You may also mark these items “Not for Sale on The Vault” from this popup. Until September 30th listing cards on The Vault will be free. This is an introductory special, so take advantage of it now! Any items listed on The Vault by July 24th will be going to Chicago for display at the COMC booth at the National. To ensure your Vault Candidates are made Vault Eligible by the 24th, they need to be submitted for a 36x rescan by Wednesday, July 17th. Your cards could be on display and available for sale at the biggest card event in the country, but you need to act quickly to take advantage of this offering. In the meantime, be sure to keep following us on our Facebook, Twitter, and Google+ pages for more news and further updates. Today we are launching the changes we announced back in October regarding how we will handle and manage Beckett Book Values with the launch of COMC.com. As we’ve grown as a company, our partnership with Beckett has had to change. With this change, we’ve been able to provide features like our Grading through COMC service. Unfortunately, as we’ve grown and our inventory has gotten larger, our inventory has become too large to give away the Beckett Book Value data as we had in the past. As it’s Beckett’s business to supply pricing data, we can’t simply give away a third of their data for free. Yet it is important to us to find a solution that works for all parties. We hope you understand, and we are working hard to innovate and continue to make COMC a great place to buy, sell, and flip. While this may be a difficult change, we won’t stay here as a company, and there will be some positives. We will continue to listen to you and come up with creative ways of helping you enjoy the hobby. This step can perhaps move us away from book prices determining asking prices and truly let the market decide. Starting today, users will be able to purchase and utilize their Beckett Subscriptions directly through COMC. On this screen, you will have the option to purchase the level of service that best meets your needs as a buyer or seller. If you only need to know the value of a single card, player, or sport, you’re covered. If you like to shop for all kinds of cards, you’ll want to consider a Total Access subscription, which grants you full access to the millions of items listed in Beckett’s Online Price Guide. All subscriptions purchased on COMC will also be accessible on Beckett.com. 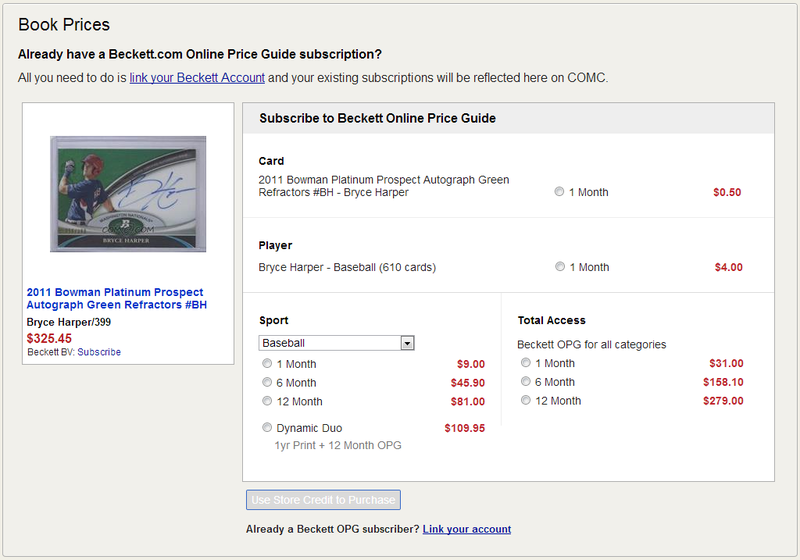 What if you already have a Beckett OPG subscription? As you can see in the photo above, you can link your current subscription to your COMC account to view the book values for all the COMC listings to which you’re currently subscribed to. After clicking the link, a popup will display requesting you to log in to your current Beckett account. Once successful, your accounts will be linked and any subscriptions purchased on either site will be reflected in both your Beckett and COMC accounts. There’s another option if you’re “old-school” and still want to have that physical copy of the Beckett Guide. If you choose the “Dynamic Duo” option, you’ll have access to the OPG as well as receive your physical copy in the mail. So, you’ll have your Beckett access however you need. Finally, to all our consignors don’t worry. You still have the ability to see Beckett book values for items you submitted to COMC as it’s built into the cost of our processing services. While this is a big change, we have something else waiting in the on-deck circle that we’re just about ready to announce, which we hope will be a game-changer. Tim is busy working on it right now. Stay tuned for details, and in the meantime, feel free to leave us your thoughts in the comments below and stay in touch by following us on Facebook, Twitter, and Google+.